AudioXposure launched as an indie music webzine in January 2005 by former music PR consultant, Jennifer Mattern. The site originated under a monthly “issue” format focused on independent musicians in Southeast Pennsylvania, and later moved to an international indie music focus. The site later moved to more of a free-form blog model with music interviews, CD reviews, and music promotion / business advice tailored more toward helping artists with music marketing and promotion than simply sharing new artists with indie music fans. AudioXposure’s archives remain online, but the site was retired in 2009. Jennifer launched AudioXposure through her former music PR firm to highlight independent artists in Southeast Pennsylvania. She now works as a full-time blogger and business writer. 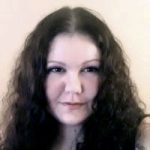 In addition to serving as AudioXposure’s founder and editor, she shares music promotion and band business advice with artists, conducts artist and music industry interviews, and also manages the administrative side of the site. While AudioXposure is retired, you can still find Jenn through her company’s other online publications such as All Freelance Writing, NakedPR, and Kiss My Biz. While her client work focuses more on small and online business owners, she still occasionally takes on PR writing and consulting for creative pros through ProBusinessWriter.com. Dan has worked as a music journalist for over 25 years, and serves as AudioXposure’s music reviewer, publishing weekly CD reviews. His work has regularly appeared in many local and national publications, including CCM, CMJ, Paste, Mean Street, Chord, HM, Christian Retailing, Amplifier, Inspirational Giftware, and Country Standard Time as well as Spin.com. For more information about AudioXposure, please browse the FAQs or contact us.